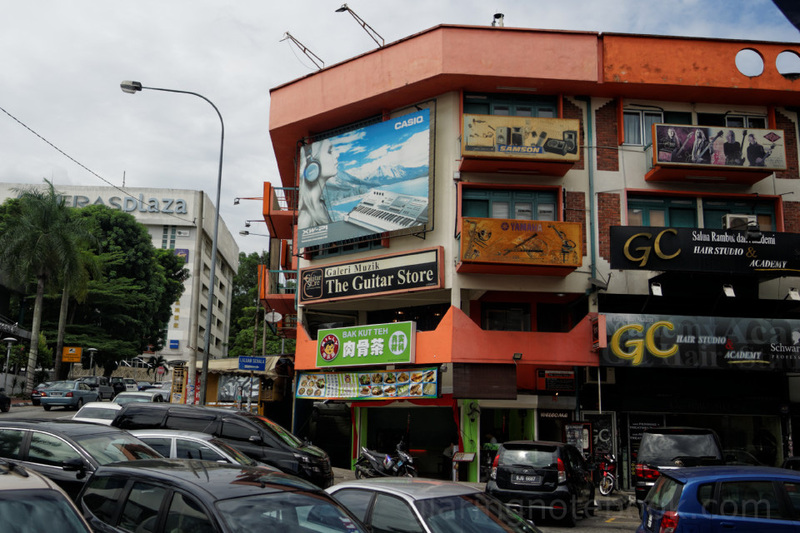 14th June 2014: I went down to The Guitar Store, Cheras. This is near Cheras Leisure Mall. I climbed many flights of stairs to the top. 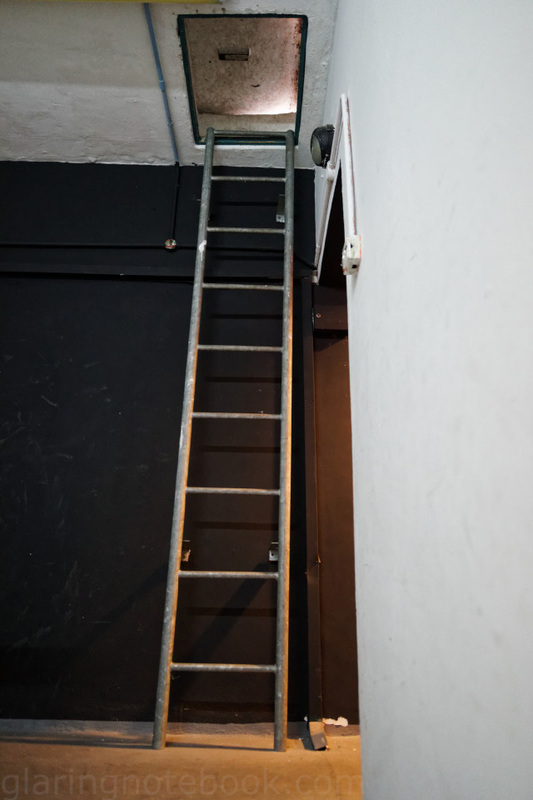 Fortunately my journey did not continue up that ladder! 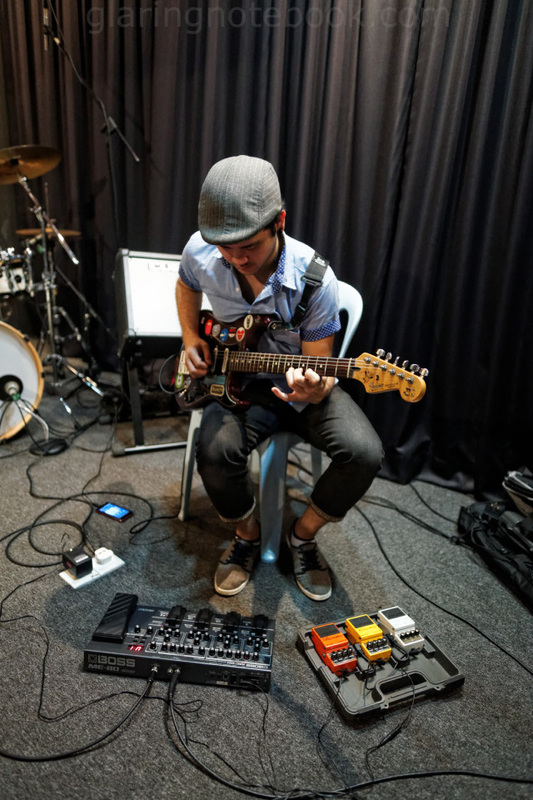 Raja Farouque demonstrating the new BOSS ME-80 multi-effects pedal! 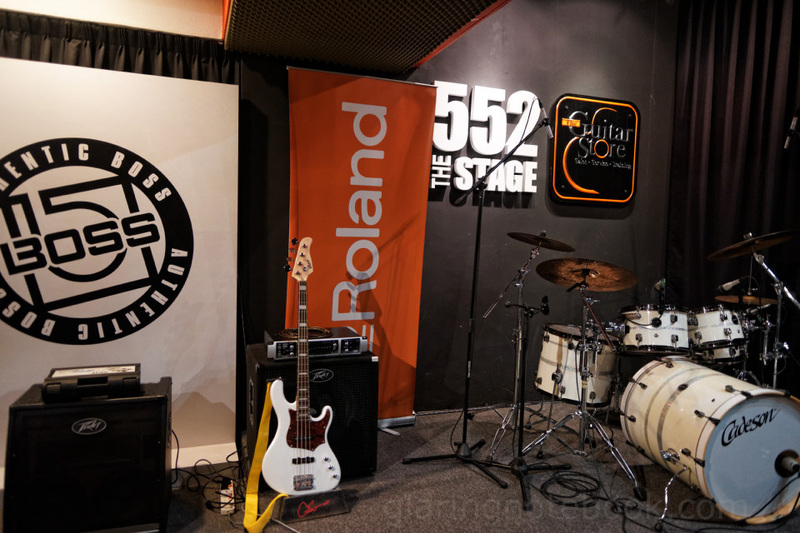 Probably the coolest thing I saw was using the expression pedal to make divebombs! 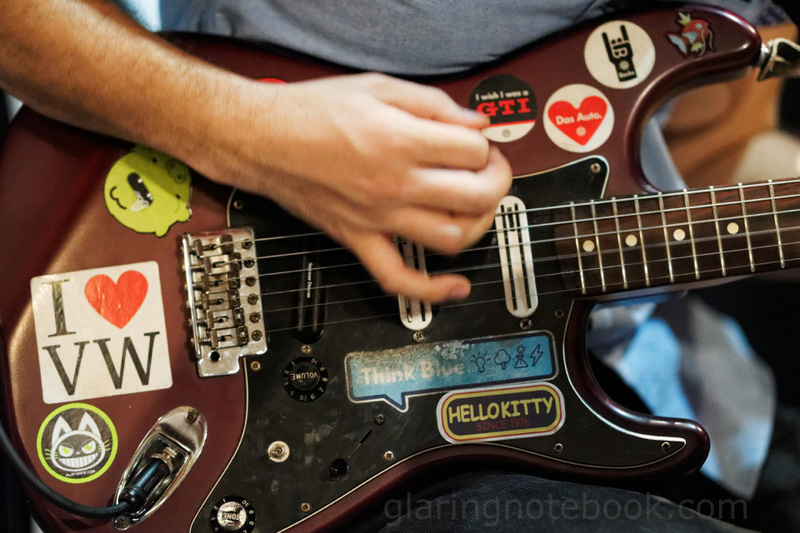 Bands give me stickers, and I never know what to do with them, since my own guitar has a quilted maple top in see-thru black, and it would diminish its nice shiny look.